In a Nutshell: Verge is a user-guided cryptocurrency that presents an attractive alternative to other tightly controlled offerings on the market. Since no central authority regulates Verge, it is open to everyone, including consumers who can’t obtain traditional financial products like checking accounts and lines of credit. 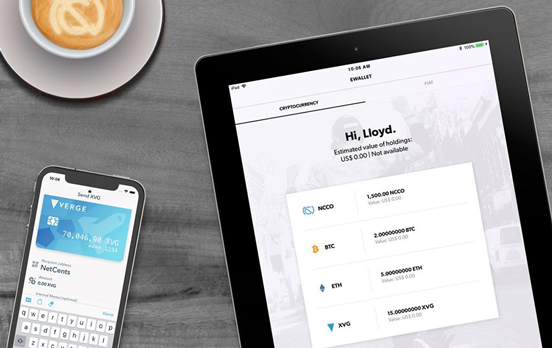 While Verge’s ledger is public, users can choose to remain anonymous during transactions, which keeps them safe from identity theft and invasions of privacy. And partnerships with NetCents and TokenPay help expand the reach, acceptance, and benefits of Verge, bringing cryptocurrency a step closer to becoming a viable commodity for use in everyday transactions. In the mid-20th century, the RAND Corporation developed a communications network that would avoid the strategic pitfalls of centralized exchanges. A network, by definition, is a distributed system allowing multiple, alternative pathways for communication; there is no “head” by which to influence or control the system’s “body.” The idea laid the groundwork for the modern internet. That means decentralization was built into the fabric of the world wide web. And the same organizing principle is true of grassroots movements and crowdfunding platforms, both of which are founded on non-localized distribution. 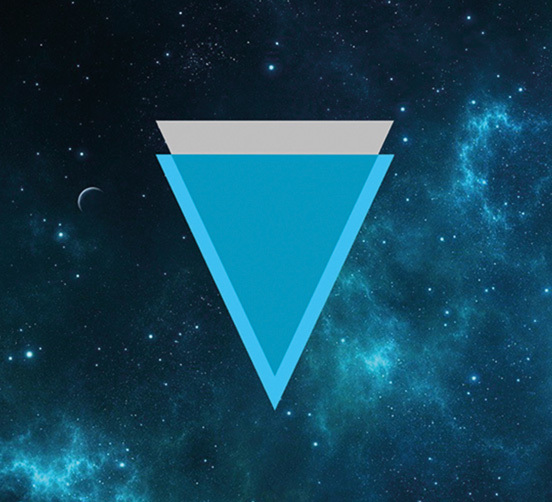 Verge cryptocurrency aims to expand on the spirit of decentralization past communication, social movements, and commerce into the realm of currency. Decentralized cryptocurrency avoids the problems of power concentration in bodies including national banks or federal reserves. This is an Austrian School approach to economics, which holds that systems will naturally sort themselves out through day-to-day interactions without any large-scale institutions. “Verge is much like Bitcoin in the way it’s structured, in that there was no pre-mine and there was no ICO, so there’s not any large pot of funds accessible to us. It’s pretty much run by the community,” said Lloyd, an advisor who works closely with the Verge development team. As part of its approach to currency, Verge addresses another prevalent concern in the digital age: the increasing invasion of consumer privacy. To combat this, Verge allows anonymous transactions. Although the currency’s ledger is public, the identities of users conducting those exchanges remain private, making Verge a virtual equivalent of transacting in cash. Verge also offers other benefits. It is faster than Bitcoin — the heavyweight of the cryptocurrency market — and offers a higher supply of currency. It is capped at 16 billion units — compared to Bitcoin’s 21 million — making it more useful for everyday transactions. Verge is listed and traded on more than 50 exchanges, and, due to its decentralized structure, it eliminates the pitfalls of discrimination based on credit scores or payment histories. Verge and its partners are working to help cryptocurrency become more prevalent in mainstream commerce, making it a viable financial option for consumers with poor or no credit histories. Thanks to its focus on anonymity, Verge is a strong option for those who want to invest in — and use — cryptoassets. Verge takes decentralization a step further through its level of community leadership. Its founders didn’t start the company to enrich themselves, which is why Verge put users in control from the beginning. And one of the community’s primary concerns is privacy. That’s why Verge features Tor IP obfuscation, stealth addressing, and upcoming RingCT integration. But because its community values personal financial empowerment, all of these anonymity options are exactly that – options. Users can choose to be anonymous, but it is not a requirement. This emphasis on privacy stems from growing public concern over data harvesting. Personal information is collected every time we conduct any kind of virtual interaction or transaction, and that information is aggregated, stored, analyzed, and leveraged. Currently, data is most prevalently used to target advertisements, but it has other potential uses that could drastically affect personal financial well-being, similar to the way credit ratings are now being used as hiring criteria in certain professions. As a currency with no central authority making decisions on who uses it, Verge presents a viable financial option for consumers who have bad credit or even no credit history. “If you’ve got bad credit or no credit, you’re probably not going to get a checking account and a debit card from any of the big banks. It’s a little bit easier with credit unions and with small, regional banks. But that’s a nonissue with crypto,” Lloyd said. Consumers don’t apply to acquire Verge, so there’s no possibility of being declined. Anyone who wants to buy into the currency may freely do so. This alternative to relying on financial products based on credit score further helps Verge circumvent threats to privacy and financial freedom. Credit scores are, in theory, based entirely on personal financial history. 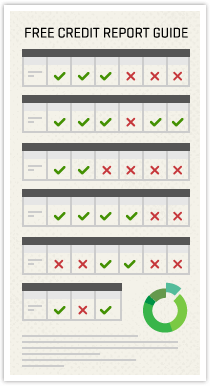 But what if credit ratings start taking into account additional, nonfinancial information? All consumers can use Verge securely and anonymously, no matter their credit histories. The peril of such a crossover is illustrated in potential adjustments to insurance premiums. Currently, insurance costs are based on personal histories like medical and driving records. But the future could see purchasing activity and social media behavior incorporated into the process of calculating insurance costs. According to Wired, a similar situation is emerging in China. The Chinese government is in the process of aggregating data to create a public Citizen Score. This rating system, which is planned to roll out in 2020, will establish individual trustworthiness and be taken into account when applying for things like financial products, employment, and education. Scenarios like these represent a gross invasion of personal privacy by public and private interests. In providing a financial option for the underbanked and credit poor, Verge is likewise holding open a financial avenue that respects the basic human right to privacy. For cryptocurrencies, mainstream adoption is a significant area for growth. To facilitate acceptance and accessibility, Verge partnered with Canadian companies NetCents and TokenPay to extend the currency’s reach and usefulness. NetCents is a payment platform that is connected to various payment processors. It plans to release apps for credit card processing terminals that will make them compatible with cryptocurrency, and is working on bank integration in 56 countries. This will bring Verge and other cryptocurrencies into everyday market transactions around the world. Verge and its partner companies want to introduce cryptocurrency into mainstream transactions. Together, NetCents and TokenPay help cryptocurrencies like Verge go mainstream and gain acceptance in everyday transactions. These efforts could make Verge a viable financial alternative to fiat currencies and traditional financial products. When researchers at the RAND Corporation envisioned the internet more than 50 years ago, decentralization was its most prominent feature. It took nearly a half century to bring that same decentralization to the financial sector, and Verge is looking to fast track the mainstream acceptance of cryptocurrencies. That’s why its development team is working on a new code base for a proprietary wallet application. The wallet will be available on iOS and Android devices as well as desktops. The future of Verge also includes greater RingCT integration for advanced transaction masking and better privacy safeguards when using the currency. Lloyd said he expects the final 1 billion Verge units to be mined sometime around the mid-2020s. The developers and the user base are currently deliberating on how they wish to proceed as this inevitable milestone approaches.